Karen M. White is a native of Oshkosh, Nebraska. 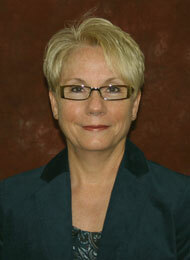 Karen is a Certified Registered Nurse Anesthetist (CRNA) for Associated Anesthesiologists, P.C. In 1975, Karen completed her Nursing Degree at the Bryan Hospital School of Nursing. Karen earned her BS in Health Education at the University of Nebraska in 1980. Karen completed her anesthetist training at the BryanLGH School of Nurse Anesthesia in 1985 and became a licensed CRNA that same year. Karen continued her education by earning a MS degree at Mount Marty College in 1994. Karen has been with Associated Anesthesiologists, P.C. since January, 1998.